Born in Ontario, George Orton represented the US (there wasn’t a Canadian team) in the 1900 Olympics (Paris). He won the 2500m Steeplechase, and placed third in the 400m Hurdles. 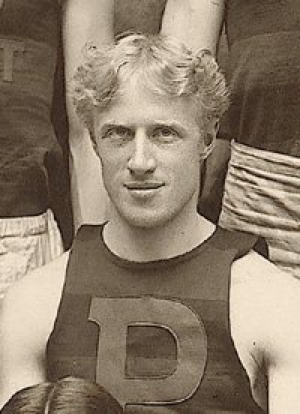 In 1892 he set a Canadian Mile record (4.21.8) that stood for 30 years. His Olympic achievement for Canada wasn’t recognized during his lifetime – the first but forgotten Champion.